How to Select a Home Builder? Buying or building, a home is a big investment. 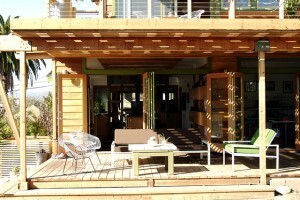 You want a home that is aesthetically pleasing, energy efficient, and of course, cost effective. The builder you select has a tremendous influence on the final result. Here are a few tips for selecting a builder. The first decisions you need to make are where you want live and the type and style of home you want. Once you have decided where, drive through the areas you have chosen, looking for homes that fit your style. If they are under construction, jot down the name and number of the builder (you may want to take a picture of the home for future reference). If the home is complete and relatively new, you can ask the homeowner who had the house built whether he or she would recommend the builder. While you are driving through the neighborhoods, also look at For Sale signs, and write down the name of the real estate agent representing the seller’s home. Since these agents are familiar with the area, they are an excellent resource for identifying quality, reputable builders in that area. You can also go online to access the real estate pages of local newspapers or local real estate publications—the key here is local. Also ask friends, relatives, and neighbors for recommendations or for the names of people they know who have worked with a builder in the past. Another good idea is to contact your local home builder trade organization, which will gladly provide a list of builders that fit your needs. You can find your local Home Builders Association at www.nahb.org/findanhba. Once you have developed your initial list, you should narrow it down by contacting references from the builder. Preferably, the references will include someone you know and trust. Be thorough when discussing their experiences with the builder. If you are not satisfied with the homeowner’s responses, cross that builder off your list. Also, get the addresses of homes the builder has built, and if possible, drive by the house to form your own opinion of the quality and style of the builder’s work. If you drive by on the weekend, there’s a chance the homeowner will be outside so you can talk with him or her. You may even have an opportunity to visit an open house or model. Also, be sure to check reviews of the builder online by searching for the builder’s name (include the word reviews) online. If you find reviews that are alarming, you probably do not want to include that builder in your final list. When making your decision, it is helpful to prepare detailed evaluation criteria from which to evaluate each builder on your short list. This list will allow you to thoroughly and fairly evaluate each builder or remodeler. A computer program such as Excel or a similar spreadsheet program is helpful so you can compare each criterion side by side. Find out how long the builder has been in business. Make sure the builder is financially stable. Find out if the references had any problems with the builder. If so, document what the problem was and if it was resolved to the owner’s satisfaction. Find out if the builder completed the projects on time. Find out if the builder is using state-of-the-art energy features, both in equipment and insulation. Ask to see a copy of the builder’s warranty, and read it to understand what protection you would have if you chose that builder. Do not wait until after you move in and a problem arises to read it. If you have any questions about the coverage, ask the builder. Find out from each builder what kind of service you can expect after the home is complete. Again, ask to see these policies in writing, and make sure they are included in the final contract you sign. If you take the time to properly select a builder, you will be happy while your home is under construction and for as long as you own the home. In addition, your investment will pay off with comfort, efficiency, and overall livability. Montchanin Builders is a full service residential construction and construction management company headquartered in Wilmington, Delaware. With more than 70 years of combined experience in land acquisition, development and construction, we bring the value of in-depth knowledge to every phase of the building process. Whether you are building a new home, renovating an existing one, or in need of project management, you can rely on Montchanin Builders to ensure your projects success…from inception all the way to completion. Check out some move-in ready homes available at our Delaware communities. The dog days of summer are just about over, but the fun never ends in Wilmington, DE. For residents of this family-friendly town, there’s always something to do. Stretch the summer spirit into September by taking your family to enjoy the Brandywine Festival of Arts and the Mushroom Festival and Parade. There’s no need for the summer fun in Wilmington to end when the kids head back to school. Take the family to the Brandywine Festival of Arts on Saturday, September 9th, from 10 am to 6 pm, and Sunday, September 10th, from 10 am to 4 pm. Admission is just $5 for adults. Kids under 12 enter free of charge. This acclaimed annual festival features hundreds of artists showcasing all sorts of styles and mediums. This one-of-a-kind event consistently ranks among the top 100 festivals in the country, and it’s taken place here for over 50 years. Take the kids to the children’s tent to get their faces painted and enjoy craft activities. Then, get a jumpstart on your holiday shopping by browsing the incredible diversity of artwork. If you’re a lover of all things fungi, head over to Kennett Square in Pennsylvania, which is just a 30-minute drive from Wilmington. The Mushroom Festival and Parade is held on September 8th, starting at 6 pm, and the festivities continue on the 9th, starting at 10 am. On Friday, you can check out the Old Fashioned Carnival (closes at 10 pm), which is on 600 S. Broad St. The Community Parade starts on State and Willow St. On Saturday, be sure to check out the Street Fair, Growers’ Exhibit, and the Painted Mushroom Silent Auction. The Amateur Mushroom Cook-Off gets started at 10:30 am, with judging to follow at 11:30. There’s plenty of other activities throughout the day, including burger samplings, a fried mushroom eating contest, and lots of children’s activities. 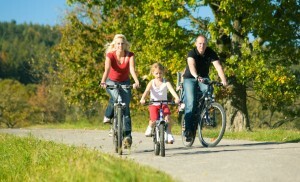 Montchanin Builders has been redefining the concept of the planned community. In Darley Green, Shipley’s Circle, The Town at Whitehall, and The Overlook at Rockford Falls, families stroll along streets and nature trails. In Darley Green, there’s easy access to nearby restaurants, shops, the public library, and exceptional schools. The beautiful, artfully designed homes feature all the amenities modern, busy families have come to expect—and there are so many festivals and other events not far from home. Call Montchanin Builders today at 302.655.2600 to request a tour of a move-in ready home in Darley Green. Fall is the perfect marriage of summer and winter; the scorching hot temperatures have subsided, but there’s no need for a coat just yet. 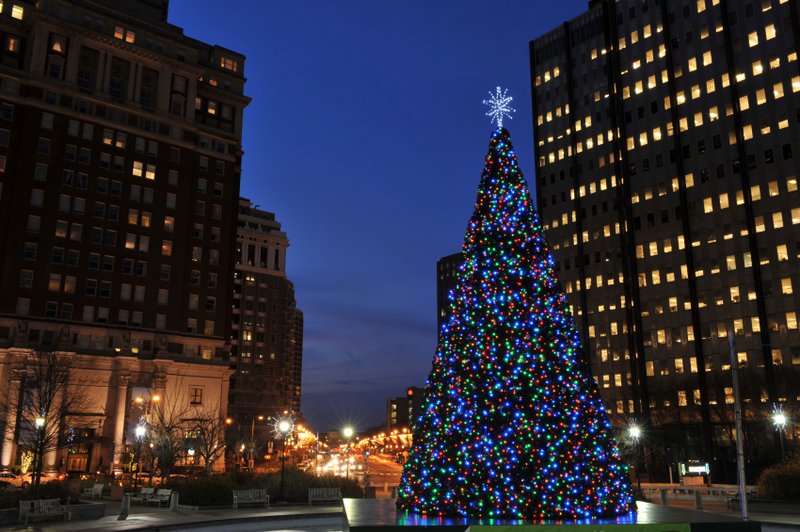 During this beautiful time of year, many of the residents of Darley Green and other communities in the Wilmington area enjoy taking weekend trips to Philadelphia to see the sights. There’s never a shortage of autumnal activities in Philly — from the many Oktoberfest celebrations to boutique beer gardens that are truly hidden gems. 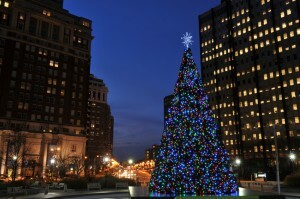 Philly has a rich tradition of embracing the Bavarian style of merrymaking. You’ll find numerous Oktoberfest celebrations throughout the city. 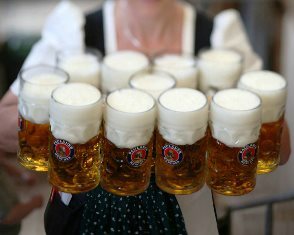 Some of them have already come and gone, such as the beloved Cannstatter Volksfest, which is the country’s oldest Oktoberfest (held since 1873), and the biggest Oktoberfest celebration, Brauhaus Schmitz’s Oktoberfest. But there’s more to come! Stop by the Elmwood Park Zoo for a unique Oktoberfest experience held alongside zoo animals. If partying like an animal appeals to you, set aside September 24 on your calendar. For a more traditional German Oktoberfest experience, stop by the Alla Spina OktoberFest on September 23, 24, and 25. Friday features the Stein Hoist Competition. Shacktoberfest at Shake Shack lets you pair your favorite brew with a selection of tasty Bavarian treats. This fest, which extends from September 23 through October 2, takes place at all area Shake Shacks. Try specials like the brat burger, Bavarian-style soft pretzels, and Apfelstrudel shakes. If you’re in Philly on October 1, you can’t miss the Revolutionary Germantown Festival. It’s a day-long celebration of American history, the highlight of which is a reenactment of the Battle of Germantown. Live music, food, and drink are all available on Germantown Ave., but the festival spills over to other historic sites like The Germantown White House, Concord School & Upper Burying Ground, and Grumblethorpe. After the reenactment, follow the crowd to Grumblethorpe for Grumblefest, which is another Oktoberfest-style celebration featuring beer, food, and live music. Grumblethorpe is the historic house of John Wister. North America’s oldest gingko biloba tree still stands in its garden. The end of summer doesn’t have to signal the end of al fresco beers. Philly is chockfull of old favorites and new pop-ups to try. Traditionalists should head over to Frankford Hall for a generous helping of draft beer served in an authentic stein. Those who are thirsty for local brews can check out Spruce Street Harbor Park on the Delaware River. If you’ve ever wanted to sip a frosty brew while reclining on a hammock over the river, Spruce Street is the beer garden for you. Not quite sure what you’re looking for? Just head over to Fairmount Park. “Parks on Tap” beer gardens will be popping up there through October 2. For residents of the Wilmington, DE area, Philly is just a hop, skip, and jump away. Whether you commute to Philly for work or enjoy bringing the family there on weekends, you’ll have an easy drive when you start from a Montchanin Builders community. Darley Green, Shipley Circle, and the Town of Whitehall feature thoughtfully designed and richly appointed homes nestled within beautiful, neighborly communities. And there’s no need to travel to Philly to access incredible amenities. In Wilmington, residents enjoy fine dining, family friendly attractions, tax-free shopping, and great schools. Tour the move-in ready homes from Montchanin Builders to find the perfect place to raise your family. 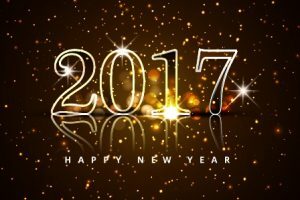 You can reach our office at 302.655.2600. Spring is already underway in Delaware and Memorial Day weekend is right around the corner. With summer fast approaching, now is the time to start thinking about sprucing up your home’s exterior. Outdoor living is one reason why Darley Green, Shipley Road, and The Cedars have become such popular communities in the Wilmington, DE area. These move-in ready homes already offer premier features, but for the discerning homeowner looking for a little something extra, Montchanin Builders is pleased to offer our deck design and creation services. When planning an outdoor living space, durability is just as important as aesthetics. Why spend time and money building your dream deck if it’ll start looking weathered within a few years? When you choose Montchanin Builders for your new deck, you can rest assured that you’ll be getting the best quality for exceptional longevity. Our focus is on building structures that are stronger than industry standards and typical practice. The end result is a superior structure to please generations. With a little help from our designers, you’re free to think outside of the box. Why limit yourself to a simple square deck with a single level? We’ll bring your vision to life with our informed suggestions, while conforming to the budget you provide. You might prefer a multi-leveled deck that ties into surrounding features such as your pool, garden or landscaping. Choose from synthetic materials or gorgeous hardwoods, light or dark stains to complement the beauty of your home. Another aspect to consider when planning your new deck is its functionality. Decks should be beautiful, but they should also be positioned appropriately for the convenience of the homeowner and guests. For instance, you might consider adding an outdoor kitchen to your deck. If so, you’ll want an access point convenient to your indoor kitchen for the ease of transporting your ingredients. Your new outdoor cooking space could be as simple or as elegant as you wish: From a rustic fire pit to a modern space that features outdoor refrigeration, countertops, grills, and a bar. Your home is among your largest investments and it deserves the very best; but it isn’t always easy for homeowners to find remodeling contractors they can trust. Montchanin Builders has handpicked its team of seasoned deck builders for this very reason. It’s our mission to help homeowners enjoy the best in life, from our thoughtfully planned communities to our top-quality home improvement services. When you choose Montchanin Builders for home renovations, you’ll interact with professional, courteous staff members who will walk you through every step of the process – from brainstorming design ideas to selecting premier materials. Call our offices today at 302-472-7213 or email wwright@montchaninbuilders.net and discover for yourself why we’ve earned our stellar reputation among Delaware homeowners. For the second year in a row, Philadelphia has been named the “Best in the U.S.” by the largest travel book publisher, Lonely Planet. The coveted spot is on a top 10 list of the “unexpectedly exciting places to see.” The news comes as no surprise to residents of Philly, Wilmington, DE, and other nearby areas. The City of Brotherly Love is on the fast track toward ditching its status of being the East Coast’s “Best Kept Secret” and instead becoming the widely acclaimed “It” destination for millennials. Lonely Planet’s list certainly isn’t the only claim to fame Philly has. The city has been declared to be in the top five of the most walkable cities in the U.S. The New York Times’ list of 52 Places to Go In 2015 puts Philly at number three, beating out countless other contenders, both domestic and international. Philly has also been declared the first and only World Heritage City in the U.S. With this designation, Philly has been elevated to the stature of the likes of Paris, Cairo, and Jerusalem. And the accolades don’t stop there. A financial services company, JLL, ranked Philadelphia among the top destinations of choice for millennials. 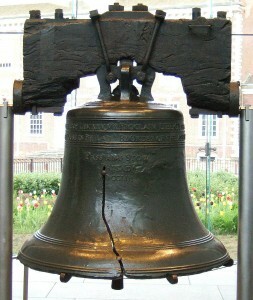 As the folks at Lonely Planet put it, “Philly’s on a roll. NYC’s more neighborly neighbor is experiencing a transformation to its urban core.” Lonely Planet went on to note Philly’s distinction as being a stopping point for Pope Francis and serving as the host of the Democratic National Convention in July. Homeowners in Darley Green are already enjoying the good life, with all the benefits of a close-knit, friendly community just a quick ride away from the sights and sounds of Philly and downtown Wilmington, DE. Montchanin Builders offers move-in ready condos and townhomes in the premier Darley Green community for those looking for luxury at an affordable price. If the spacious floor plans, masterpiece kitchens, and prime location just 20 minutes away from happening Philadelphia aren’t enough to entice you, call our office at 302-655-2600 and ask us about the $10,000 move-in incentive. The winter season can bring on a bad case of cabin fever for some Delaware residents. Turn the season around with home renovations that are particularly beneficial during those long, cold winter months. Montchanin Builders recommends numerous home renovations during the winter months, when contractors are more readily available and you have time to oversee indoor projects. 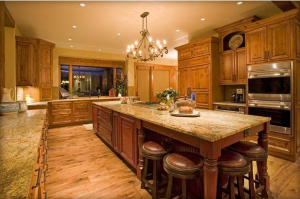 Consider these three popular home renovations this season if you are looking for a way to update your home, add space or simply enjoy fresh surroundings in 2016. Kitchen remodeling is a relatively major undertaking that can seem overwhelming to some Delaware homeowners. The experienced renovation experts at Montchanin Builders provide expert advice and guidance through every step of the process. With many modern, energy-efficient options to choose from, your new kitchen can be as practical as it is beautiful. The bathroom is another good room to give your attention to during the winter months. Bathroom remodels can turn your basic bath into a mini-sanctuary where you can relax and unwind after a busy day. With beautiful fixtures and luxurious touches, your bathroom can be transformed into your own private spa with all the trimmings. Bathroom renovations offer an excellent return on your initial investment. If you begin your project now, you will have a beautiful new space for guests you are expecting this spring and summer. While this project is significantly smaller than a kitchen remodel, the far-reaching benefits of a beautiful new bathroom will continue to delight you throughout the year. Your basement may be a wealth of expandable space that can add a game room, home theater or additional bedrooms to your home. Basement finishing is a cost-effective way to increase your home’s value while providing you with extra space to accommodate your changing needs or growing family. The key to a successful basement remodel is choosing a layout and design for the space that will give you the greatest amount of function. At the same time, you want your basement to feel like a cozy haven where you can enjoy your indoor time throughout the winter months and all year long. Trust the expertise and experience of the professionals at Montchanin Builders to help you design a space that you will enjoy and use for many years to come. Home renovations can be an excellent way to while away the chilly months of our Delaware winter. The staff at Montchanin Builders is ready to help you transform any room in your home into a modern, efficient and beautiful space your entire family is sure to enjoy. To learn more about our home renovation services in Delaware, contact us today at 302-655-2600. Summer is an extremely busy time for Delaware home renovation contractors, but there is still much to be done in the cooler autumn months. These five fall home remodeling projects can save you money throughout the winter, protect your home from snow and ice damage, and give you a more pleasant interior space where you’ll be spending more time as you hunker down for the winter. Some people wait until the winter drafts are seeping in to call a home renovation contractor. However, the work then involves building a temporary wall and exterior frame with poles and polyethylene to keep the interior protected during the remodel. Sometimes projects need to be rescheduled when the weather is particularly inclement and the job cannot be done right. To avoid all this trouble, we recommend updating windows and doors in the fall to better insulate your home for the holidays and save money on your heating bills. We advise that painting be done in the swing seasons to avoid issues. Summer isn’t the best time for painting, as the humidity interferes with paint drying and can cause walls to look splotchy. Winter is another bad time for painting due to the lack of ventilation, which causes paint fumes to remain in the home longer and lengthens the drying process. But why wait until spring to freshen up your interior and create a cheerier space for yourselves? New paint – particularly in the living, kitchen and dining rooms — will create a more enjoyable place to gather for the holidays. Many types of tile adhesives require temperatures between 75 and 80 degrees to bond properly, which can easily be controlled via an indoor thermostat. Colder winter air can cause issues with the adhesives — not to mention uncomfortable cold air and wet coming into the home with all the tiles. A kitchen bathroom remodel including updated tile is something you will enjoy showing off to holiday dinner guests, too! Winter tends to be a very busy time for Delaware HVAC contractors who field frantic calls from homeowners who are bundled up in blankets and multiple layers, anxiously awaiting emergency help. You don’t want to wait until it’s freezing outside, your hot water switches off, or there is a snowstorm to find your HVAC system doesn’t work. Maintenance inspections cost a lot less than unexpected emergency repairs! Montchanin Builders can design and install a new fireplace in the autumn months to take the chill out of the home, create a cozier ambiance and lower heating costs through the winter. Roof repair in the fall helps your family avoid extreme winter cold and summer heat. Cleaning out the gutters will avoid issues like ice dams and sudden roof or foundation leaks as well. Nothing is worse than water seeping into the home in the middle of winter! The summer months are often hindered by extremely hot weather, as materials are impacted by the scorching sun. Replacing roofing materials in the winter can be unconducive, so truly fall or spring are the best times for a roofing project. Montchanin Builders can help with any Delaware home remodeling or renovation project. As established local builders, we have an impressive track record of professional, top-quality work. Contact us at 302-655-2600 to discuss your needs.